Shows have limited seating and tickets may not be available at the door. Advanced online tickets recommended. The 2019 Festival kicks off with this perfect opportunity to enjoy locally made ciders, a fantastic comedy showcase, and gourmet pizza party catered by the Flying Saucer Pizza Company! A Comedy celebration with some of the funniest comics in the country at one of the areas renowned restaurant venues . 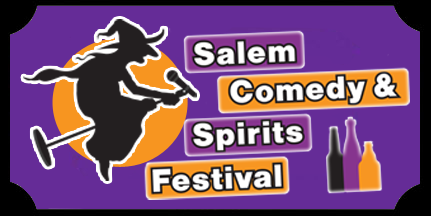 The Salem Comedy & Spirits Festival’s continues it’s second night of comedy at Finz Seafood & Grill! Now in it’s BRAND NEW location on Pickering Wharf! 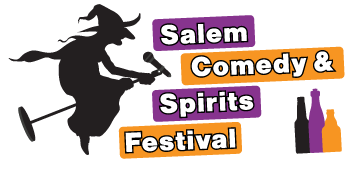 The Salem Comedy & Spirits Festival’s finale night takes place at Deacon Giles Distillery in their Speakeasy Lab. Ticket price includes one (1) cocktail from their special featured drink menu. VIP tickets get you a tour of the distillery, tastings of their award-winning Vodka, Gin and Rums, reserved seating and a mix and mingle with the comics performing that night.